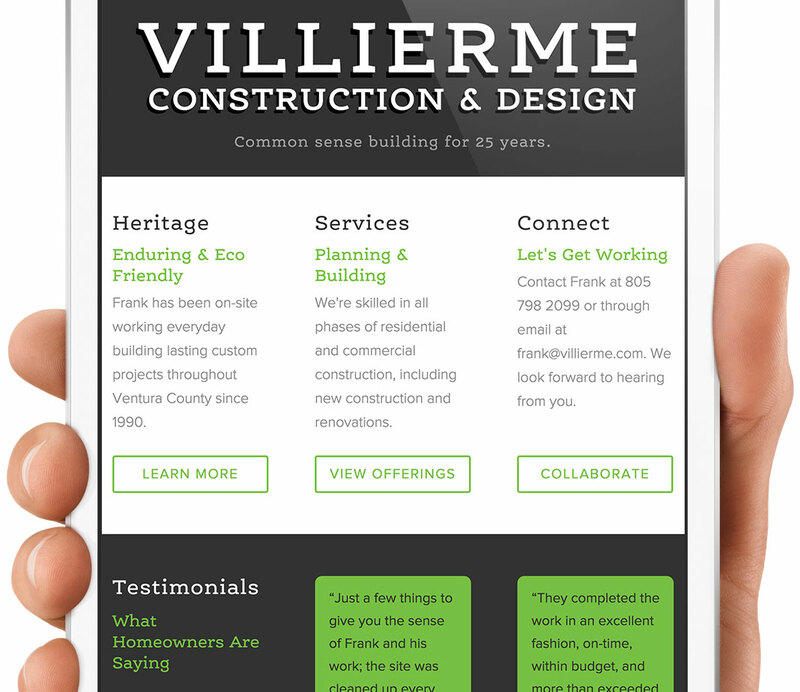 Frank Villierme Construction & Design is a general contractor located in Ojai, California. 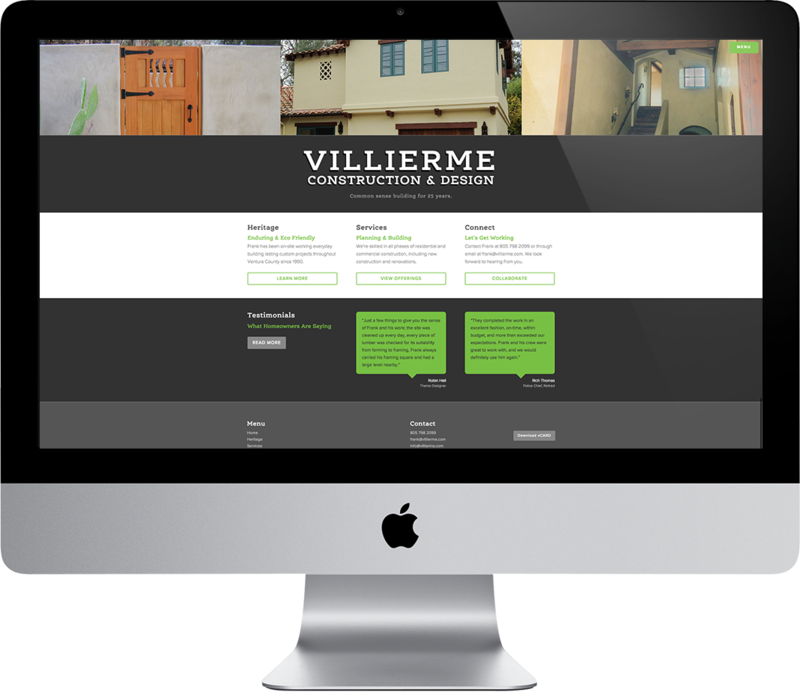 The responsive website was created to serve as an introduction to potential clients. The site employs clean typography and generous negative space to help create a relevant experience.